Critically acclaimed, award-winning creators Ed Brubaker and Michael Lark continue their explosive run! 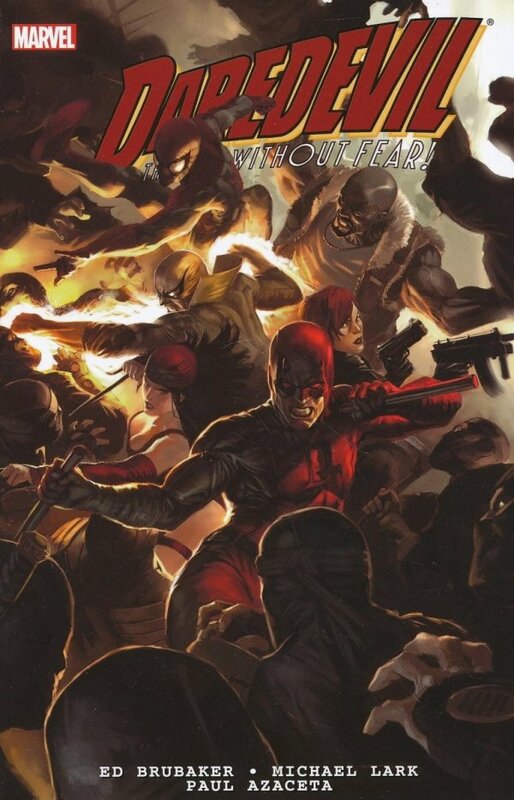 Everything Matt Murdock thought he'd gotten back teeters on the edge of a precipice, ready to shatter all around him, as he fights a battle on both fronts of his life - in the courtroom and on the rooftops of Hell's Kitchen! And with the post-CIVIL WAR fallout all around him, the price of being Daredevil just got even higher. Nominated for three Eisner Awards: Best Continuing Series, Best Writer and Best Penciler-Inker Team! 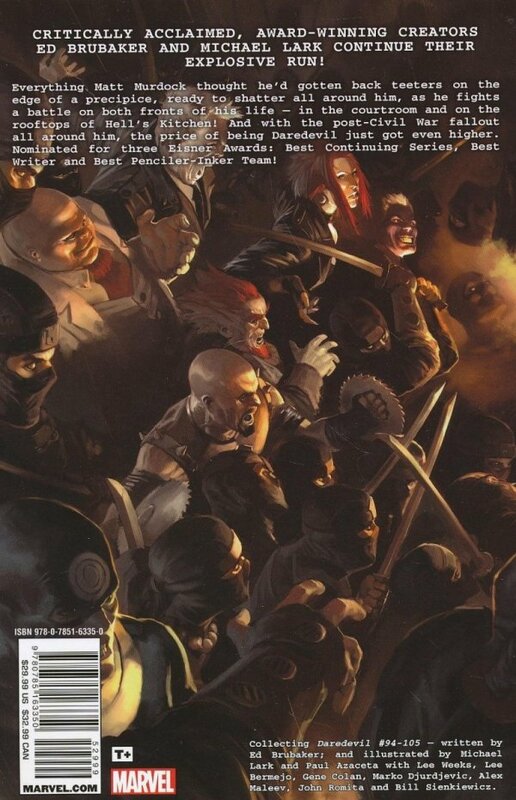 Collecting DAREDEVIL (1998) #94-105.